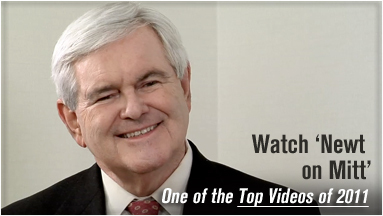 Ron Paul's campaign says Monday that Newt Gingrich wants the Constitution to die. Updated with comments from Newt Gingrich's spokeswoman and information about an attack ad from the Paul campaign. 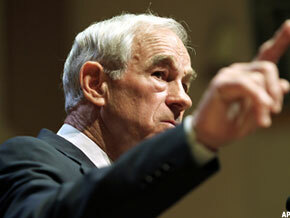 NEW YORK ( TheStreet) -- Ron Paul's campaign said on Monday that Newt Gingrich wants the Constitution to die, based on a book the former House speaker wrote the foreword to. A sentence from page 91 of the book " Creating a New Civilization: The Politics of the Third Wave," according to ronpaul2012.com, says: "For this wisdom above all, we thank Mr. Jefferson, who helped create the system that served us so well for so long and that now must, in its turn, die and be replaced." "We can assume the Tofflers authors Alvin and Heidi are talking about Thomas Jefferson. Understanding 'Jeffersonian democracy' is integral to understanding American constitutional government, the system Mr. Jefferson 'helped create,' " Hunter writes. Gingrich spokeswoman Michelle Selesky said in an email that the former House speaker is for "constitutional, limited government." Paul's campaign also launched an attack ad on Sunday against Gingrich as it called the former House speaker a career politician and a supporter of individual health insurance mandates.